Star Field Hockey, directed by Churchill high school varsity head coach Cay Miller, develops the complete field hockey athlete. This program is for rising 4th-9th grade girls, from beginners to advanced players. To register, click on the week of camp for the program below. Fill out the registration form and submit your payment online (or mail us a check if you prefer). Our early enrollment discount is available for campers who sign up and pay by check before March 15. Checks made out to TenniStar Sports must be postmarked by March 15 and sent to 2813 East West Highway, Chevy Chase, MD 20815 for the discount. Please note that a $50 administrative fee per child is assessed for cancellation of a prepaid camp session(s). A $25 administrative fee is charged to individuals who switch prepaid camp session(s). 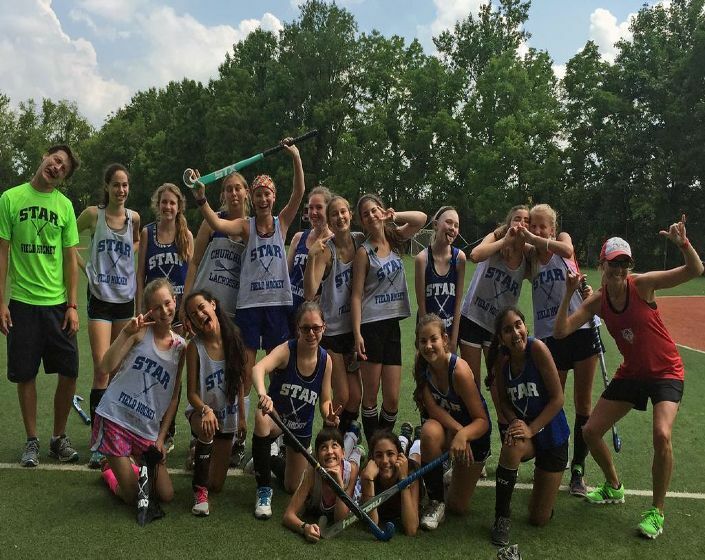 Field hockey campers need a stick, mouthguard, eye goggles, and sneakers or turf shoes (no cleats). Note: Turf shoes are not permitted indoors. All campers should bring a pair of sneakers to camp.